Court Says VW Counts as Construction Work Car for Insurance Coverage Purposes – McLacklan v. Westfield Insurance Co. | The Law Firm of Anidjar & Levine, P.A. Home » Blog » Court Says VW Counts as Construction Work Car for Insurance Coverage Purposes – McLacklan v. Westfield Insurance Co. When an accident happens, it’s hard enough to recover from the physical and emotional toll that comes with it. Then there’s dealing with an insurance company. 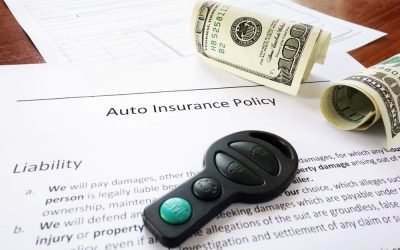 In McLacklan v. Westfield Insurance Co., the U.S. District Court for the Middle District of Florida takes on a dispute over a uninsured motorist policy and explains that the policy’s language should be read broadly. The case stems from a single-car accident in which Kenneth McLacklan claims he sustained physical injuries. McLacklan, the owner of Florida construction company Turn Lane Inc., drove a company truck to Georgia and dropped it off at a transmission repair shop that he regularly used for work on company vehicles. Although he usually returned home via plane or a loaner vehicle from the shop, this time McLacklan bought a Volkswagen Passat for sale by an individual seller who lived near the shop. The accident occurred while he was driving home in the Passat as the car crashed into an unidentified object in the road. The District Court disagreed. “The traditional rule followed in Florida … requires that policy language be read as it would be understood by reasonable people, i.e., given its plain and ordinary meaning,” the Court explained, quoting a 1996 decision by Florida’s Fourth District Court of Appeals in State Farm v. Deni Associates of Florida. The Court rejected Westfield’s argument that the Passat was not a “temporary substitute” for the truck because McLacklan wasn’t using it for work purposes at the time of the accident. Instead, he purchased and used the car for personal purposes, according to Westfield, and did not intend to discard it. While the policy did not specifically define “temporary substitute,” the Court found that McLacklan need not intend to discard the car after use in order for it to qualify under the plan. “[T]he proper inquiry under the Policy’s plain meaning here is not on ownership but on whether McLacklan intended to use the Passat on a temporary basis to perform functions that the Work Truck otherwise would have performed,” the Court explained. Here, the Court found that McLacklan clearly intended to use the Passat as a temporary replacement. Because driving to the repair shop was undoubtedly a work function, the Court said that so too was driving back to Florida from the shop. As this case shows, there are a number of complex legal issues that can arise in dealing with an insurance company following a car crash. If you or a loved one has been injured in an car accident in Florida, contact the South Florida auto accident lawyers at Anidjar & Levine. From offices in Ft. Lauderdale, we serve clients throughout the area, including in Coral Springs, Boca Raton and Pompano Beach. Call us toll-free at 800-747-3733 or contact us online to schedule a free consultation.